The admission process under the Right to Education Act (RTE) has made slow progress in Kolar district with only 627 children, out of 2926 seats reserved, getting admitted to schools. It comes to around only 20 per cent. The admission process which began on May 10 will continue till May 23. There are 278 private schools to which students can get admissions under RTE quota. Of the 627 children admitted so far, 161 belonged to Scheduled Caste and 27 to Scheduled Tribe. 457 students belonged to Other Backward Classes. Two children with disabilities also got admission. A circular issued by the State government has been attributed as the reason for the confusion and tardy progress in the admission process. “The seats which were granted to children based on the applications submitted by their parents to the schools which do not come under the jurisdiction of their respective wards or villages should be cancelled” is the instruction contained in the circular. This has resulted in confusion both to the parents and officials of the Education Department. It also caused verbal duels between the parents and authorities. The parents even staged protests in front of DDPI and BEO offices. While parents argue that their wards should be given admission in the selected schools, the officials say they have to abide by the directions of the government. “Giving preference to the local students was the intention of the government”, RTE district nodal officer C.R. Ashok said. There is no meaning in protests by parents without understanding this, he said. As many as 791 applications for admission to Class 1 in unaided schools under the Right to Education Act have been cleared in Dakshina Kannada. There were discrepancies in 1,073 applications and the Department of Public Instruction has to take a decision on them. As many as 3,398 applications were filed online for admission to 2,274 seats available in Dakshina Kannada for LKG and Class 1 in unaided schools. As much as 25 per cent of seats in the neighbourhood unaided schools are set apart for economically weak and disabled children. The State government pays for the education of these students. Following the first round of draw of lots, seats were allocated to 1,674 applicants. Deputy Commissioners of each district were asked to scrutinise documents of each of the selected applicant and approve only those where details were proper. Deputy Commissioner A.B. Ibrahim at a meeting here on Friday said that they had cleared 791 applications. “They have to get their children admitted to the school by May 23. We are leaving it to the department to decide on the 1,073 applications,” he said. During a meeting following the scrutiny on Friday, the applicants pointed out the way officials had rejected their applications on the ground that the school they had chosen was outside the place they reside. A woman from Simantoor said that her application for admission to the school located 1 km away from her house was rejected as the school was in the neighbouring gram panchayat. Another applicant from Sullia said his application was rejected as the Aadhaar number mentioned during online submission was different from the Aadhaar document he had produced. Deputy Director of Public Instruction Walter D’Mello said that some among the 1,073 applicants would be allowed to take part in the second draw of lots for seat allocation. The Education Department has instructed district-level committees across the State to conduct one more round of verification process to eliminate ineligible candidates, who have secured admissions to schools under the Right to Education Act. The committees have already conducted the verification process and prepared a list of eligible candidates. However, the Education Department wants to further scrutinise the applications to make the selection process foolproof. After realising that there were possibilities of a some candidates on the eligibility list for reasons like more than one ward having the same pin code, the Education Department has instructed officials to ensure that only eligible candidates get seats under the RTE quota. The department felt the need for this in the wake of recent orders passed by the High Court of Karnataka after a few candidates secured admissions under the RTE quota in a ward other than their ward of residence. The Commissioner for Public Instruction has sent a circular to all the DDPIs in the State instructing them to conduct the post-selection verification process. The Commissioner had stated in the circular that the verification of all RTE applications was made using the databases of Aadhaar, Electors’ Photo ID Cards (EPIC) and Nada Kacheri. However, he further stated, as these databases are not tailor-made for RTE purposes, it is imperative to have a post-selection verification process to make the selection foolproof. Students from disadvantaged groups, those who had submitted EPIC without pin codes as address proof, whose names were there in the first eligibility list and classified as ineligible the second time but considered to be included in lottery process, and those who applied in schools in wards other than their ward of residence would be subjected for post-selection verification. 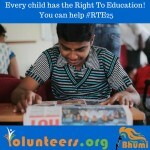 BENGALURU: The Right to Education (RTE) Act was aimed at providing access to education to every child. But like every other law, its implementation is full of flaws. The 25% quota in private English medium schools is misused so much so that middlemen are virtually running the show between uneducated poor parents and the schools. In our five part series commencing today, TOI looks at how deep the mess is in implementing one of India’s progressive laws to get every child into a school. A web of confusion and messy management of the system defines the state of the 25% seat allocation under the Right to Education Act in the state. In a massive crackdown on the inefficiency of the department of public instruction’s application verification software, it was revealed that parents have applied multiple times for their child using different mobile numbers each time. Some of these applicants have sent in their details over five times for the same student and in each application have marked a different school as their first preference. The additional applications should have been rejected in the first go taking only one of them as legitimate. Astonishingly, the department’s scanners had made all of these applications of one student eligible for participation in the online seat allocation lottery that was conducted on Saturday. A total of 2,74,628 applications were received this year by the department of which 1,87,495 were deemed eligible for the seat allocation to the 11 thousand-odd private unaided schools. But of these eligible applications, the department decided that owing to over 200 such cases of duplication, the applicants that have been rejoicing over getting an allotment to two or more schools, will face a cancellation of the allotment after the list has been sent to the schools for further verification. There are various modes to apply. One can apply online, through mobile phones, by going to a BEO. While submitting the applications, parents are required to fill in details of the child’s name, their names, AADHAR/EPIC details, income certificate along with mobile numbers. While most of these applications are filled through mobile phones itself, it becomes easy for parents to apply using different numbers and with each application, they have the luxury of marking a different school as their first preference. Once this is done, during verification process, even if all other detail of the applicants are the same, the applications are not rejected because the mobile numbers are different and all other details are also up-to-date. Condemning this snag in the verification process, Shashi Kumar, general secretary, Associate Management of Private Schools in Karnataka (KAMS) said, “This is the biggest loophole in the system and I had appealed to the department about the rectification of the verification system many times but it went unheard. Considering mobile numbers for the verification process must be stopped right away. This practice, although can guarantee parents a seat for their child in any one of the preferred schools, it reduces chances of another equally eligible child from being a part of the online allotment process. BENGALURU: Private school managements in the state have warned the state government of not admitting kids selected under Right to Education (RTE) quota for the academic year 2016-17. The Department of Public Instruction has started the process of receiving applications from eligible parents to fill 25 per cent of seats under RTE and the last date to submit applications is March 15. But, private school managements are saying they will not admit the students if the dues towards fee reimbursement is not cleared. There is another allegation from the managements that the reimbursement amount was not being calculated in a proper manner. “Even to get the reimbursement amount released, schools have to pay bribes,” he said. There are over 16,000 private schools in the state affiliated to different boards. A majority are in cities like Bengaluru, Mysuru, Mangaluru, Shivamogga and Hubballi-Dharwad. The government has fixed a reimbursement amount of Rs 11,800 per child. During 2015-16, the private school managements had threatened the state government in a similar manner. But it was much before the process started and they had also submitted a representation to the education minister. According to officials, the income certificate was where most parents declared false information. “Around 65 to 70 per cent of the income certificates which we receive from parents are in the range of Rs 10,000 to Rs 20,000 per annum. A few years, around 90 per cent of the certificates would declare belonging to that income bracket. We then realised officials were probably bribed to create a fake income certificate for such parents,” said an official. He added that some parents produced fake address documents, voter identity or Aadhar cards, to show they resided in the same locality as the school, so their child may be given preference for admission. Thirdly, though birth certificates cannot be faked easily, some parents took to producing false certificates of a self-declaration over age. As the RTE rules stipulate a certain age for admission, parents produce such false certificates so students get admitted at entry levels. 1. 25 per cent free admission. Schools say that admission process is affected as the government doesn’t fill up the 25 per cent of RTE seats till July, due to which the admissions for the rest 75 per cent of the seats get delayed. 2. Reimbursement arrival at per child expenditure for pre-primary LKG-UKG is just Rs 5,924/-. Schools say that expenditure per child was fixed as Rs 5,924 per annum in 2012-13, and since then it had not been revised. The schools also argue that reimbursements are to be made in the month of September and January. However, it gets delayed by six to eight months every year. The reimbursements are done looking at the expenditure of previous year account statements and the government has failed to consider the expenditure of planning, non-planning and other issues to provide elementary education by all heads of accounts, which crosses more than the prescribed child expenditure. Reacting to this, officials said they have received a memorandum from schools and will discuss the issue. Bengaluru: Unaided schools, which are entitled to reimbursements under the Right To Education (RTE) Act, are not receiving funds to the full extent, which is causing a lot of inconvenience to them, school managements have said. The State government is releasing only partial reimbursements and the remaining amounts are likely to be given to schools only by January 2016. While the delay in granting total reimbursement amounts to schools is a major concern for managements, even the funds given are not being distributed properly, Shashi Kumar D of Karnataka Private School Management Federation told Deccan Herald. In fact, the funds released now are towards reimbursement for previous academic year (2013-14). “In the first place, releasing reimbursements after the completion of one whole academic year makes it difficult for the managements. Even if the funds are released now, it will reach schools only after three months. So technically, schools get their reimbursements only after a year and a half,” Kumar said. Recently, Rs 151.67 crore was released towards reimbursement of fees to unaided schools. The reimbursement per child for nursery classes is Rs 5,924 and that for classes above class one is Rs 11,848. According to rules, if the school is charging a fee less than what is fixed for reimbursement, they are entitled to receive only that amount from the government. In several cases, the Block Education Officers (BEOs) have released more than what the schools are entitled for and are now asking them to return excess funds. Not just this, school representatives said that BEOs were asking schools for a 10 per cent share in reimbursements. Members of the Karnataka Private School Management Federation are planning to write a letter to the government to bring these irregularities to its notice. They are planning to go to court if they do not receive a proper response, said Kumar. Meanwhile, the Department of Public Instruction (DPI) has issued a circular, directing BEOs to ensure students who have joined schools under the reservation provision are studying in the schools. Apart from this, they have been asked to keep tabs on the audit reports of schools, based on which funds are given. “As of now, no irregularities have come to my notice. But if something comes to my notice, action will be taken,” said K S Satyamurthy, commissioner, DPI. It would be a challenging task to test the accuracy of audit reports in each school. The government should consider releasing funds in one phase and as early as possible, to encourage schools to implement the RTE Act, said Niranjanaradhya V P, senior fellow, Centre for Child and Law, National Law School of India University. Bengaluru: Several parents and activists under the umbrella of the RTE Task Force staged a protest on Monday to raise their voice against the SSA manual, which, they claim is outdated, and being misused by unaided schools, to discriminate against students under the RTE quota. The manual states that schools can charge students (who have secured free admission under the RTE quota) extra fees for books and uniforms. If the schools have not included this expense as part of their total fee structure, the government will reimburse the same. The contents of the manual are against the Right to Education rules, the parents said and demanded that the Education department rectify the error and take action against schools charging extra money from parents. “Education department officials have agreed to hold a meeting with the parents and RTE Task Force members on August 19. If they fail to rectify the error we will go on a hunger strike and intensify our protests,” Nagasimha G Rao, member of the Task Force told Deccan Herald. Bengaluru: With complaints pouring in from parents about their children not getting seats under the Right to Education (RTE) Act in premier schools in their neighbourhood, the state government has decided to give preference to kids from BPL families from the next academic year. Over three lakh applications have been received seeking seats in premier schools under the RTE Act in 2015, and a large number of kids have not been given seats. Disclosing this to reporters here on Tuesday, Minister for Primary and Secondary Education Kimmane Ratnakar said the government is considering more stringent norms to ensure seats for children from eligible families. The government is also coming out with measures to prevent parents from applying for seats in schools which are not in their neighbourhood by furnishing false information of their addresses. Parents will be directed to submit only one application seeking seat in one school. They will be asked to produce voter ID-card and other address proofs to prevent them from applying for seats in schools which are not in their neighbourhood. Admission will be given to children in schools which are located close to their residence, Ratnakar said. According to the Centre’s definition, a family with an annual income of Rs 27,000 or less will be considered a below poverty line (BPL) household. The state government set about 15 other parameters for families to qualify as BPL households. 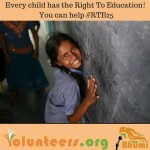 To claim seats under RTE quota, the annual income of the child’s parents should not be over Rs 3.5 lakh. Preference is given to those families with annual income of Rs 1 lakh or less while there is no income limit for SC and ST families. The State government’s plans to change the Right to Education (RTE) Act rules to accommodate students only from below the poverty line (BPL) families and make “entry point” as class one seems to be fraught with several risks, warn experts. According to officials in the State’s Education Department, the class one entry point would be virtually “un-implementable” and would shrink the number of seats available under the quota. For instance, they point out that this year, under the RTE quota there were 53,532 seats in pre-primary classes and 57,797 seats in class one. But since schools which have entry point at pre-primary classes would already have a fixed number of students, they may not be able to accommodate RTE students in class one without an increase in seats. “If a school has 100 students in LKG, the seats in class one is likely to be 100 as well. If students have to be admitted under the quota, it cannot be done unless the number of seats is increased,” a department official said. Nagasimha G. Rao, convener of the RTE Task Force, said if the government was serious about ensuring that the deserving poor get the seats, there was a need for the government to first act against families with fake BPL cards. Another official pointed out that although the department’s current system gives preference for parents whose annual income is less than Rs. 1 lakh, seats under the quota do not get filled. “Unless the department gives more publicity at the grassroots level, the seats will remain vacant,” he said.